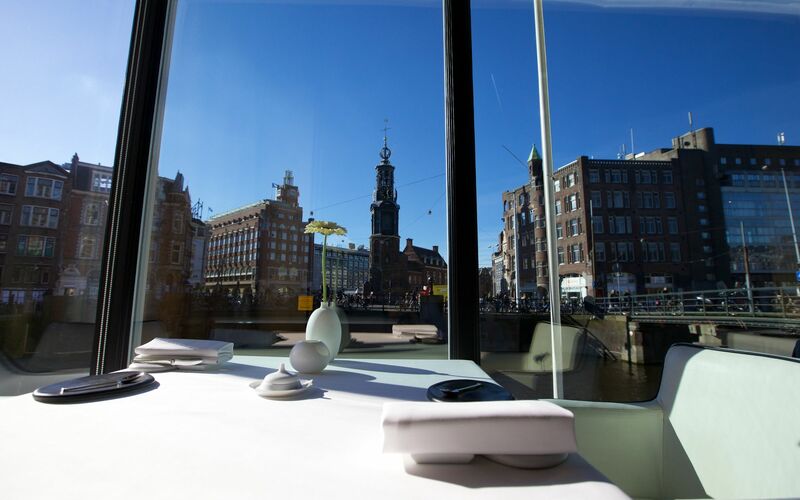 Sitting in the beautiful dining room of Bord’Eau, enjoying the view over Amsterdam and looking at food in front of you makes you realise just how far the city’s dining scene has come. In the past, it felt as though restaurants in Amsterdam served solid, but hardly world-class food. This changed when the bistronomie movement revolutionised casual eating in Amsterdam, whilst two destination restaurants have dramatically changed fine dining: Sydney Schutte’s Librije’s Zusje and Bord’Eau, run by Richard van Oostenbrugge. Van Oostenbrugge is a soft-spoken, thoughtful chef, whose cooking reflects his personality. 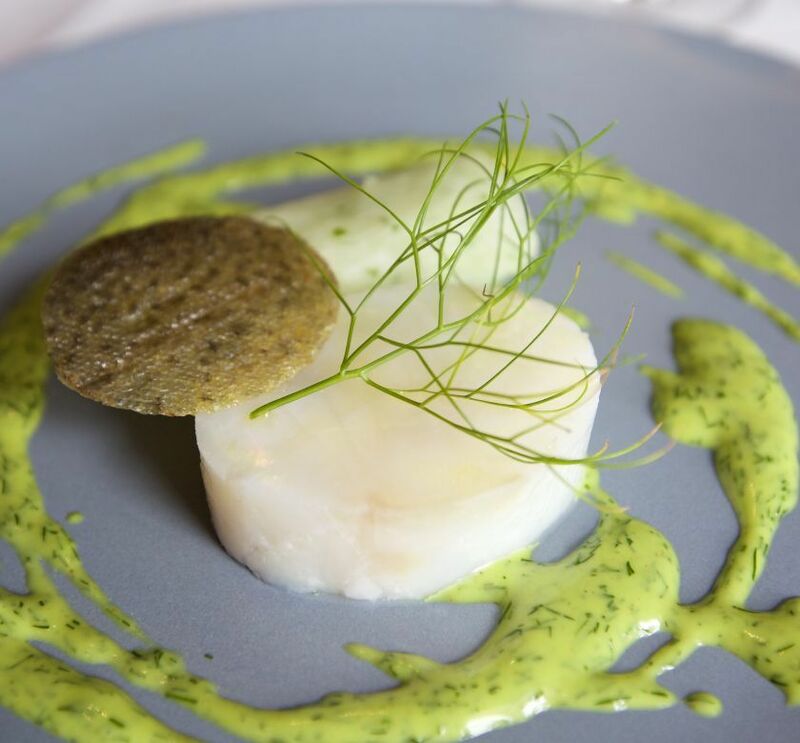 Intricate and pure the dishes he creates with the help of chef Thomas Groot and culinary advisor Robert Kranenborg are some of the most impressive food to be had in the Netherlands at this stage. A couple of points set Bord’Eau apart. 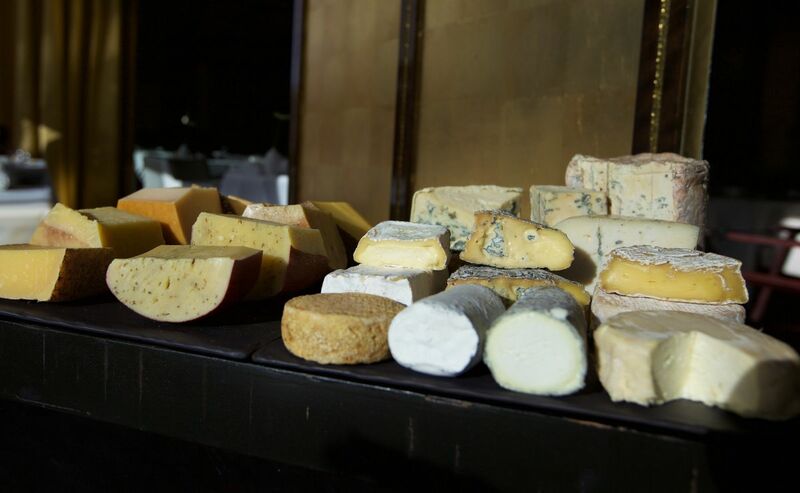 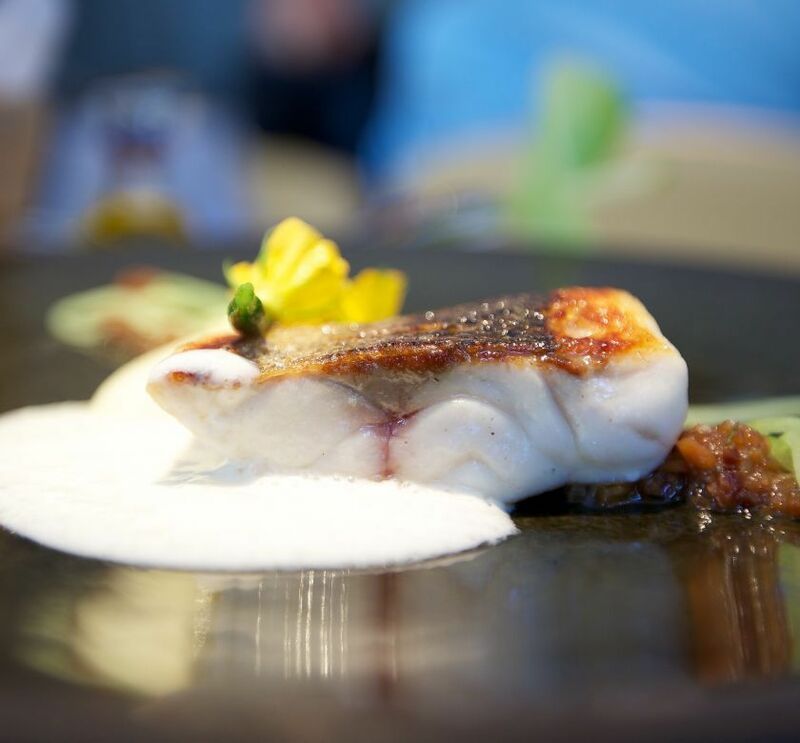 First of all, rather than constantly changing its menu, the team here continuously refines the selection of dishes that have become signatures of the restaurant. 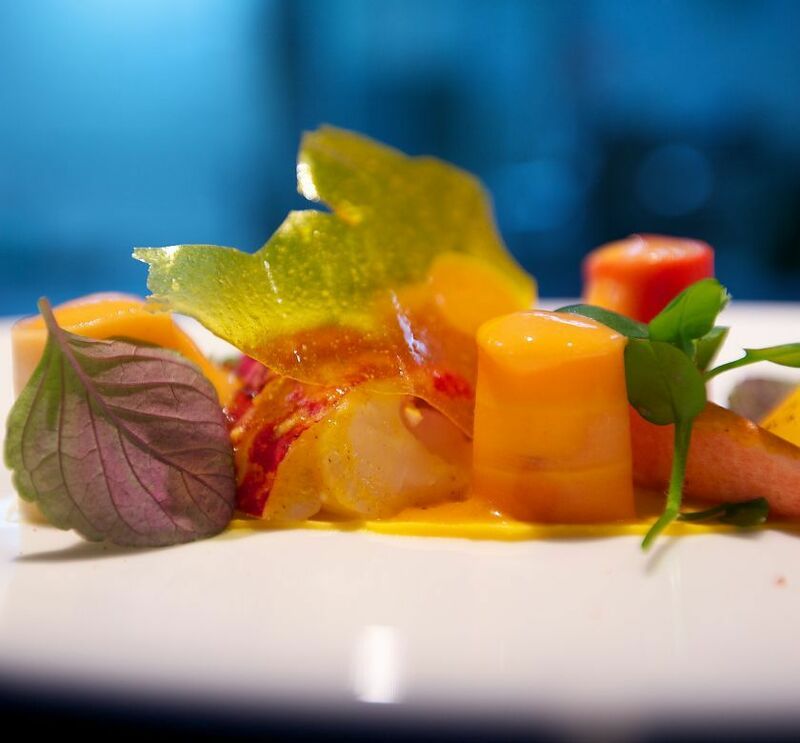 What is exciting is that the diner is able to see and taste how the kitchen works on a dish, making it more precise and pure. 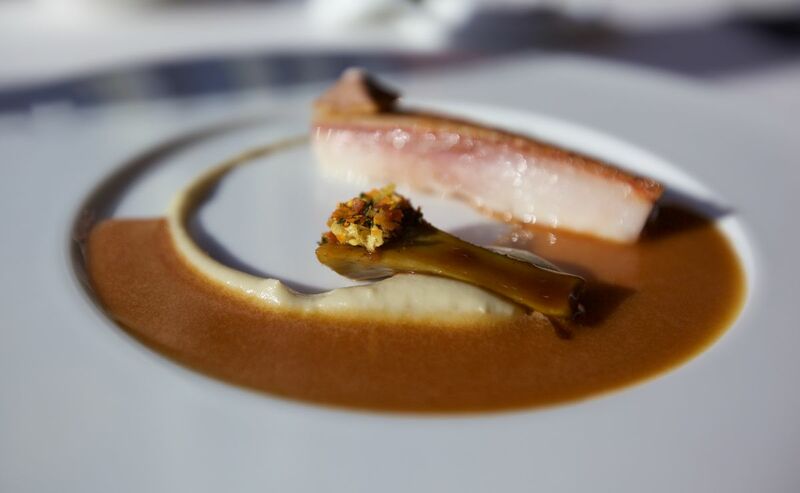 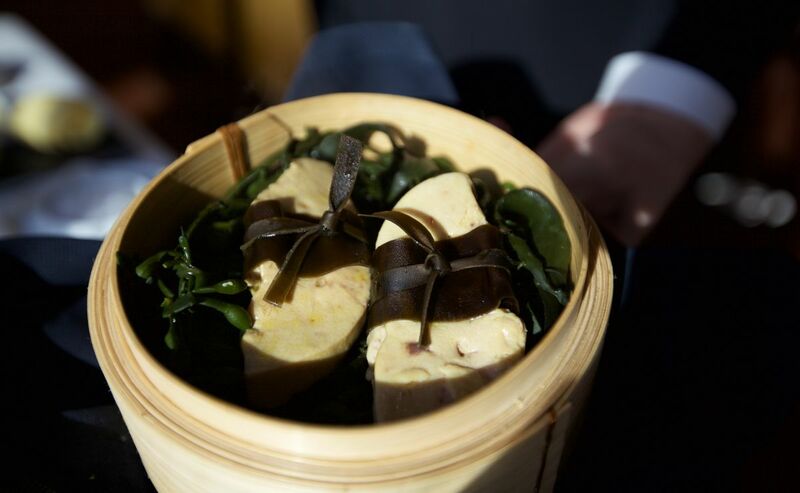 This focus on purity comes across beautifully in a mackerel dish. 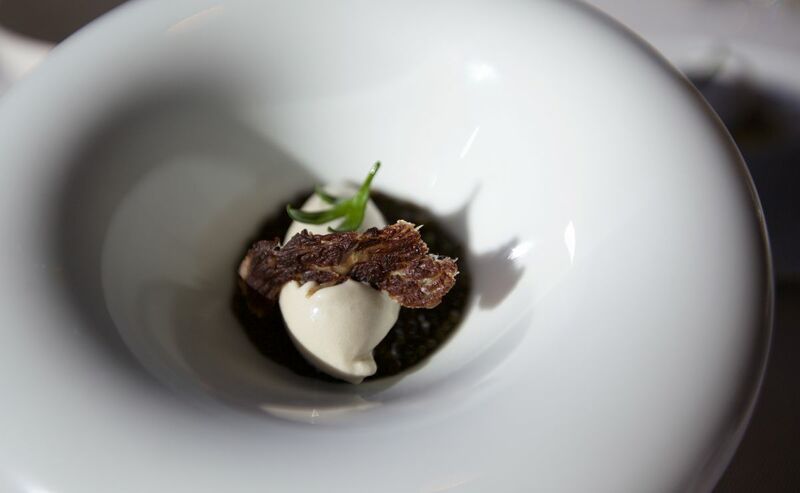 Served on quinoa with preserved tomato stock and tarragon emulsion, the dish’s clean and intense flavours almost make you think of French food in Japan, which often shares this characteristic. 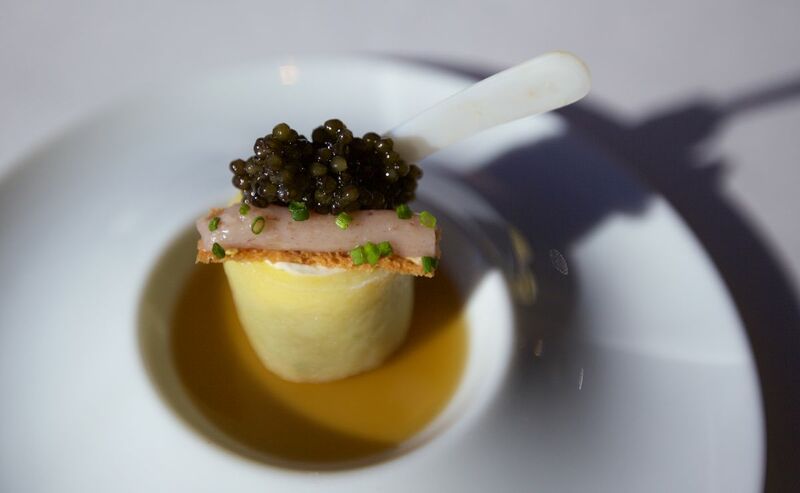 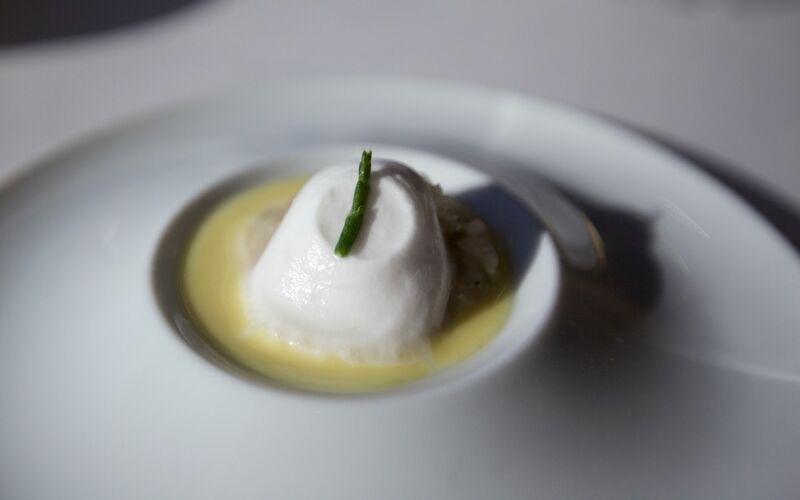 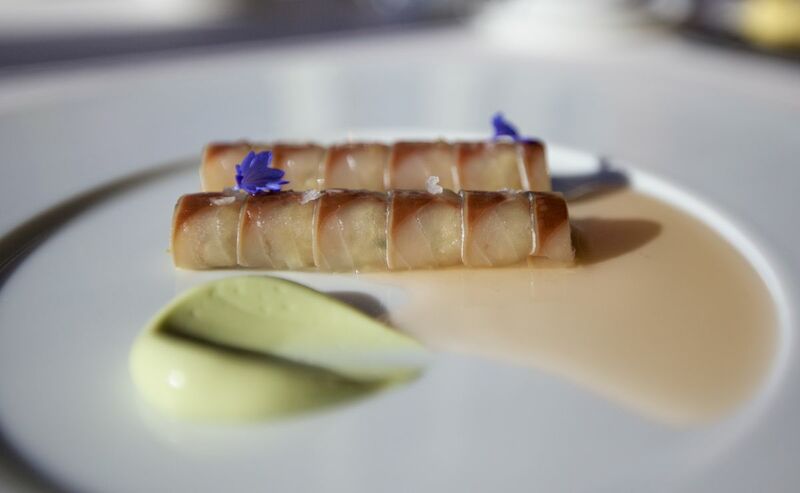 Van Oostenbrugge’s food is often rich and boldly flavoured, as the dish “sea anemone” demonstrates. 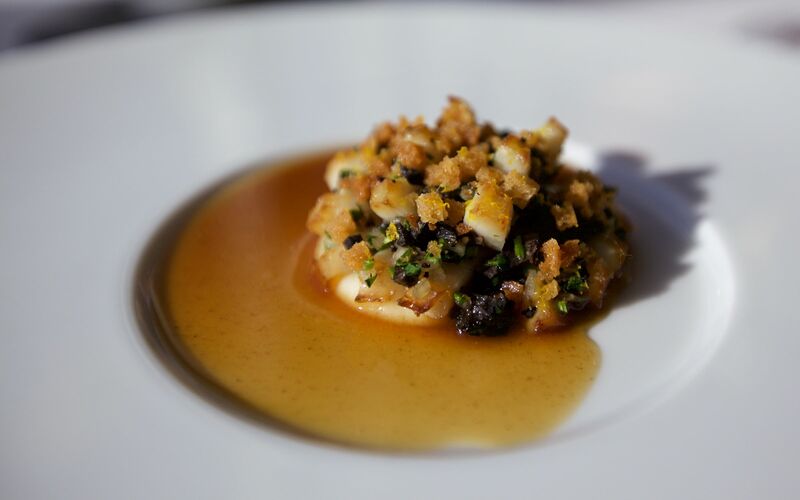 Made up of scallops that are cut to resemble a sea anemone, black truffle crumble, celeriac and fermented oxtail jus, this is an intriguing and fascinating plate of food. The thoughtfulness of the preparation and its classic flavour combination make this one of the finest scallop dishes we have had in the Netherlands. 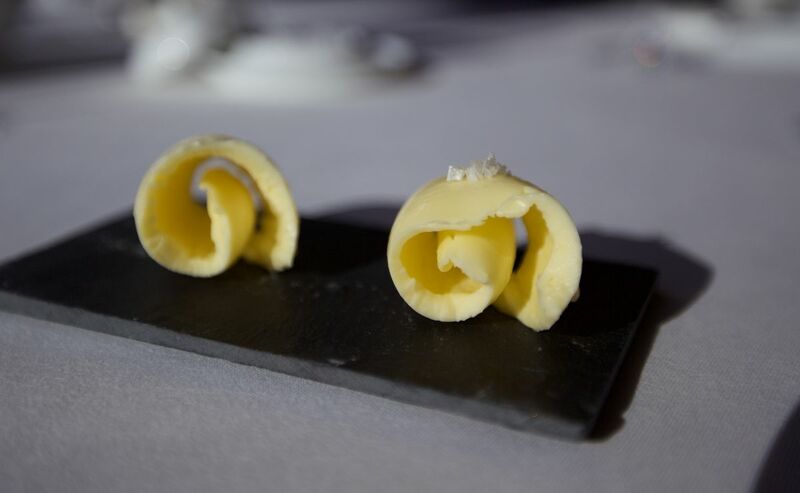 In the same vein, but even more intense are the twists on the lievre a la royale that van Oostenbrugge prepares. 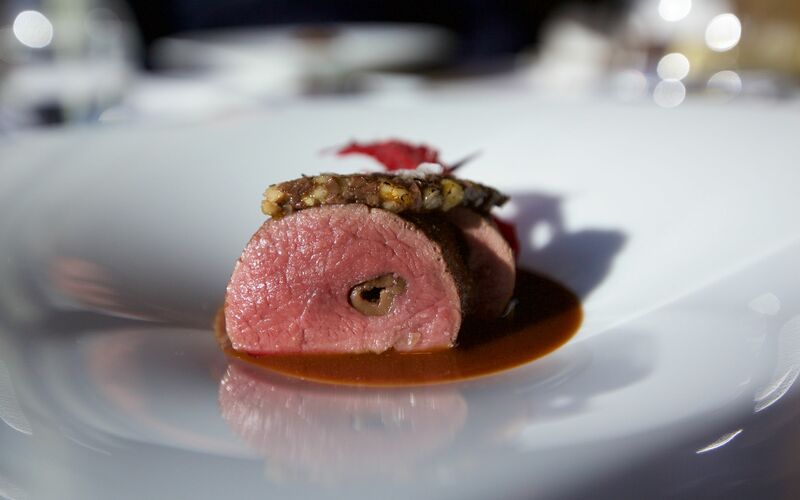 Venison comes in two parts: the loin is stuffed with olives and coated in an olive/walnut crust, whilst the real star of the dish is the shoulder, which is prepared like a la royale. 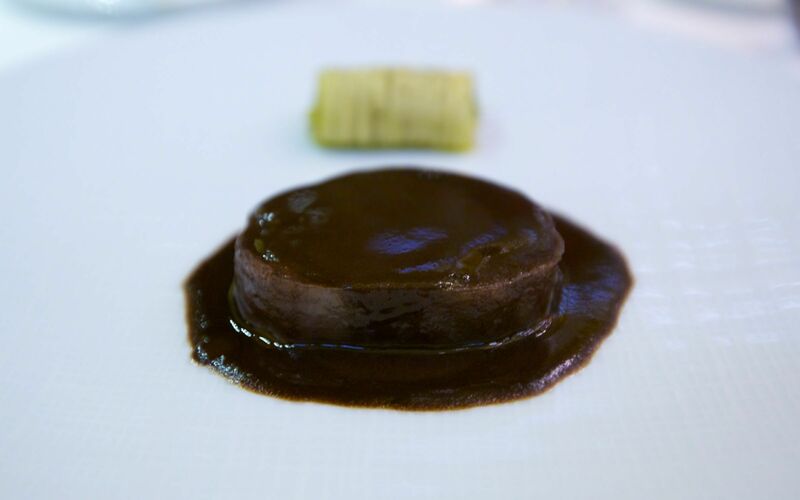 It is so intense, velvety and rich that you almost feel transported to a classic Parisian restaurant. 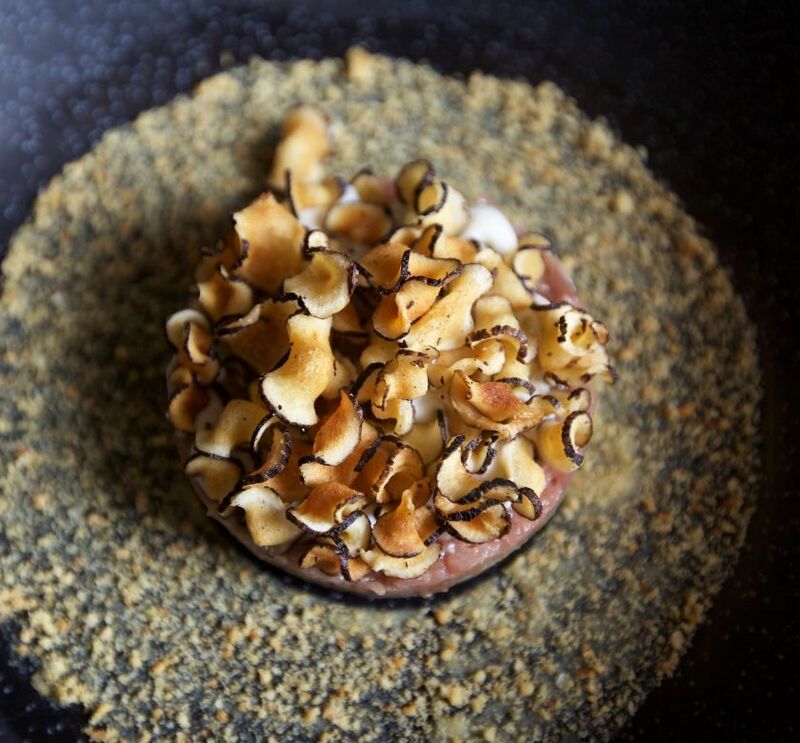 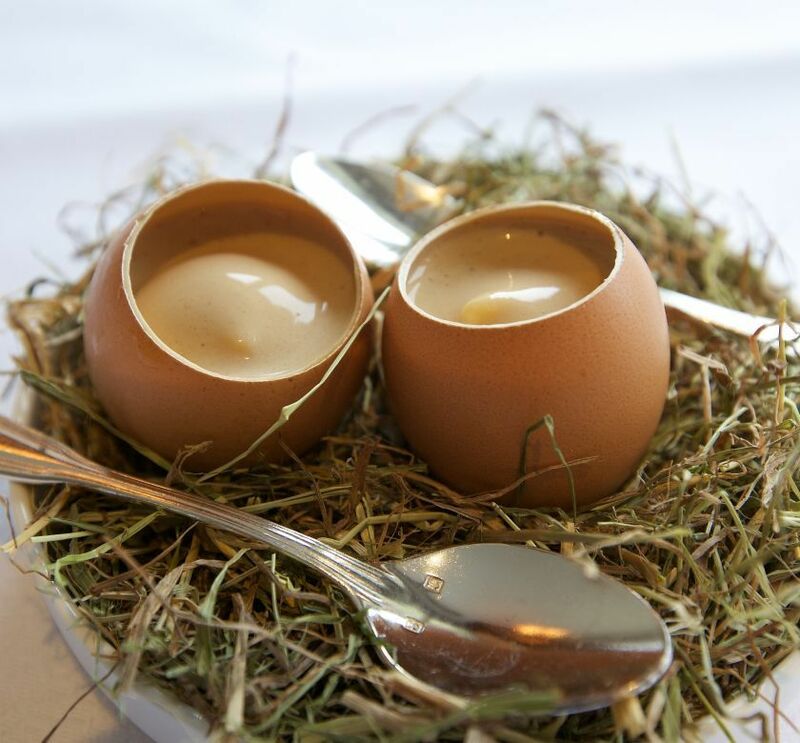 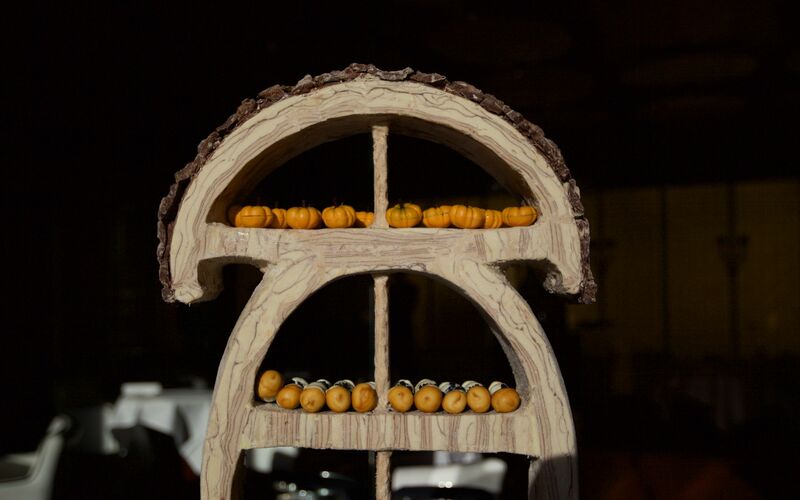 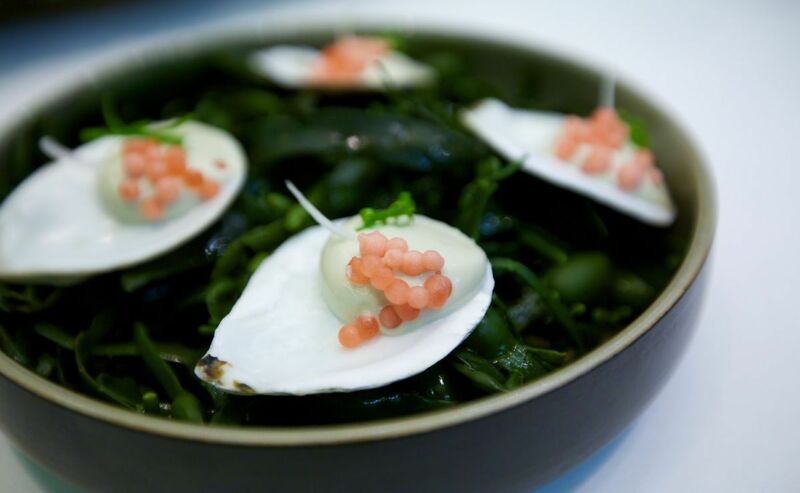 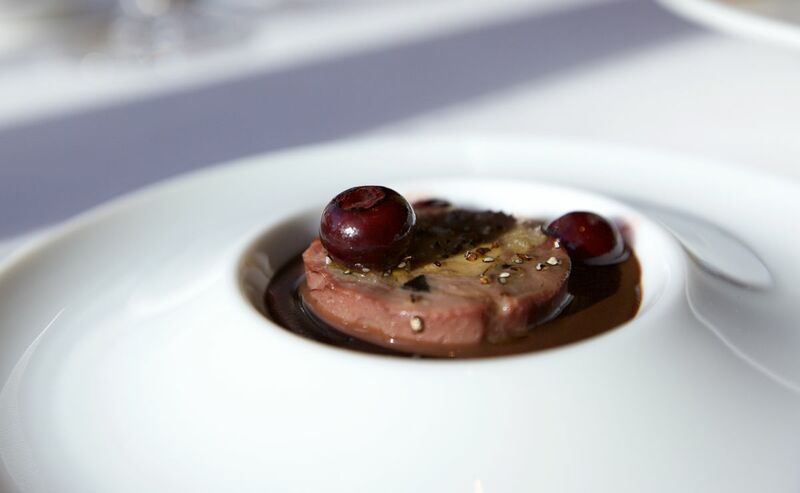 The cooking at Bord’Eau is clearly at the top of its game and unique. 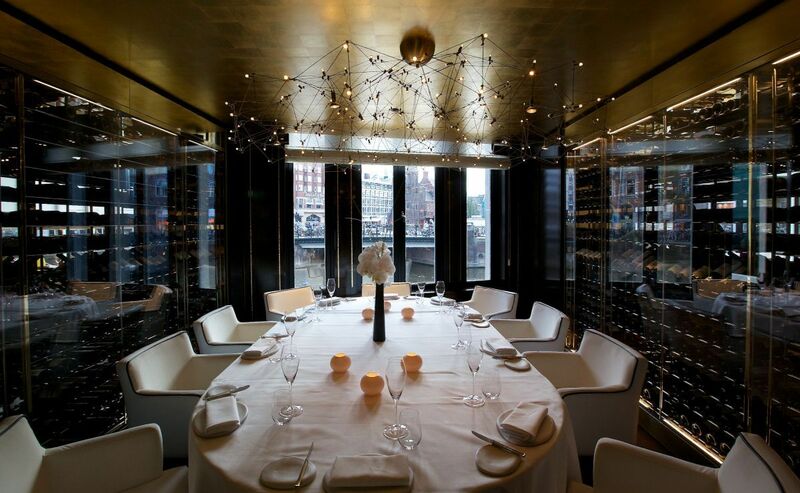 Thankfully, the service and dining room are equally impressive. No expense has been spared to make this as impressive a dining room as you’re likely to find in Amsterdam. 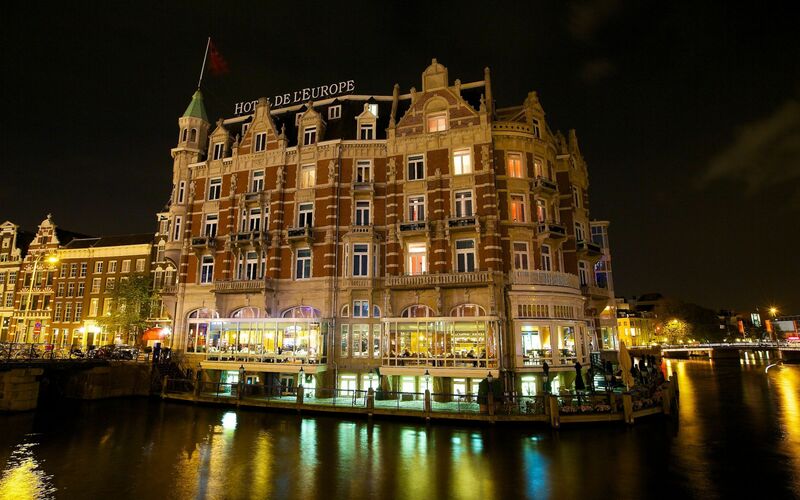 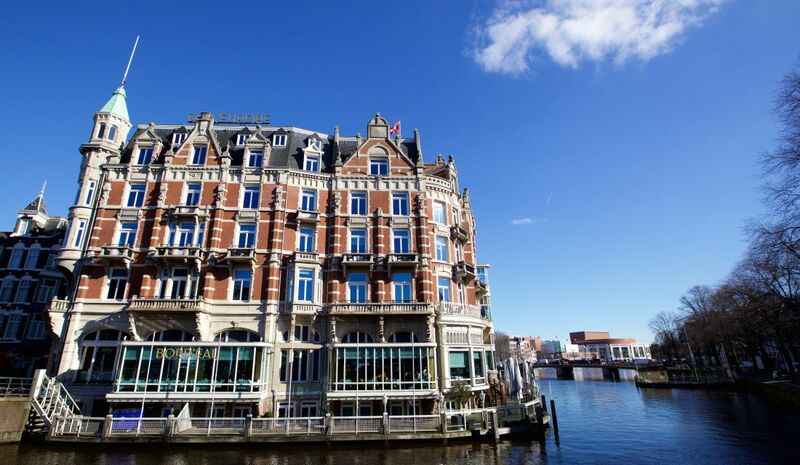 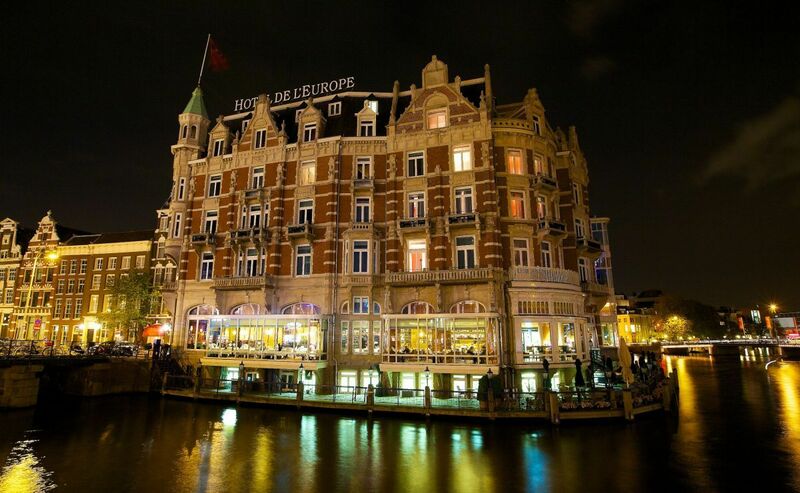 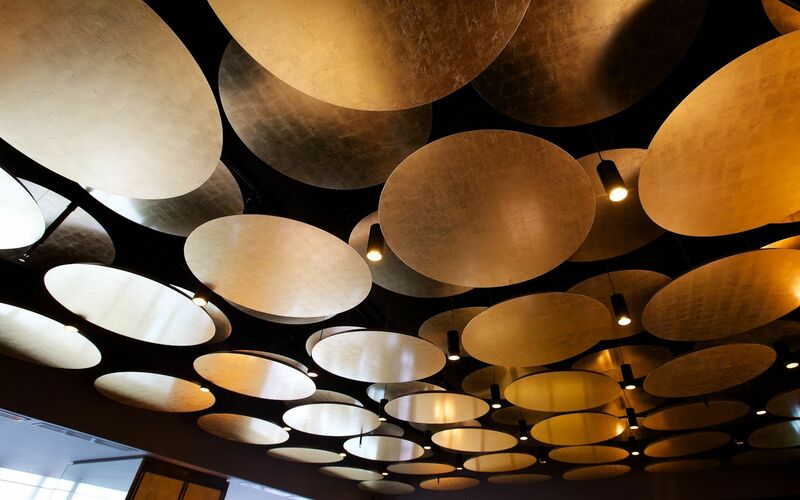 The service brigade acts professionally and is the perfect example that it is possible to create a grand restaurant in Amsterdam. 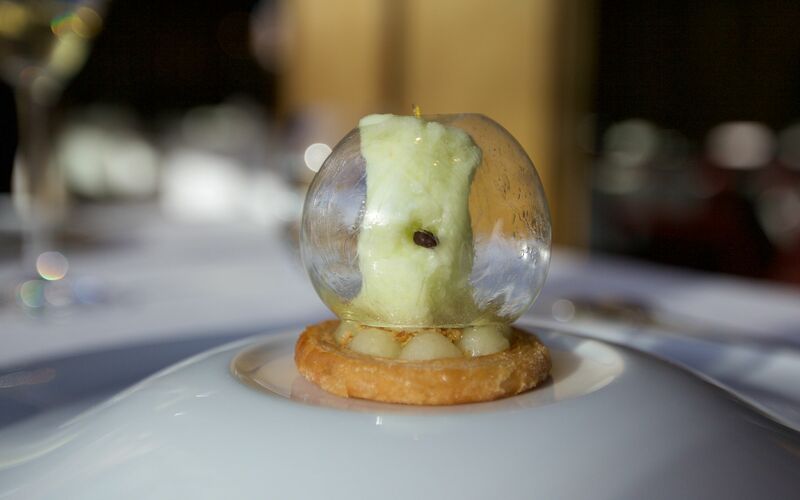 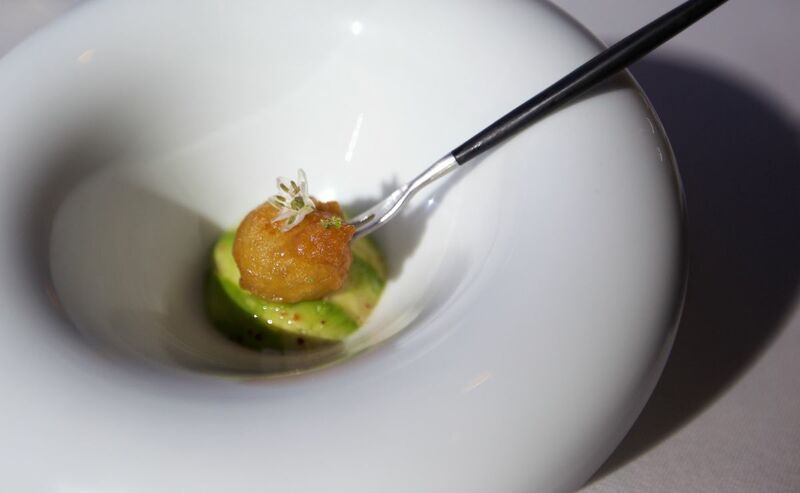 The combination of stunning food, a beautiful dining room and excellent service make Bord’Eau the most obvious candidate for a third star in the Netherlands at this stage. 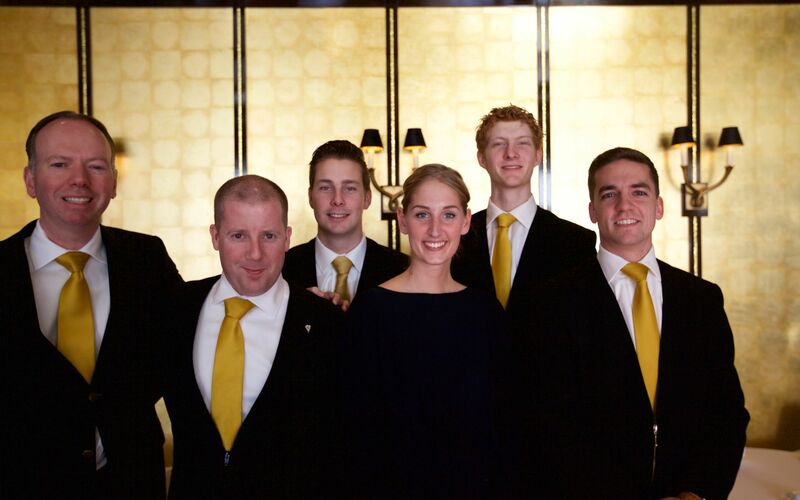 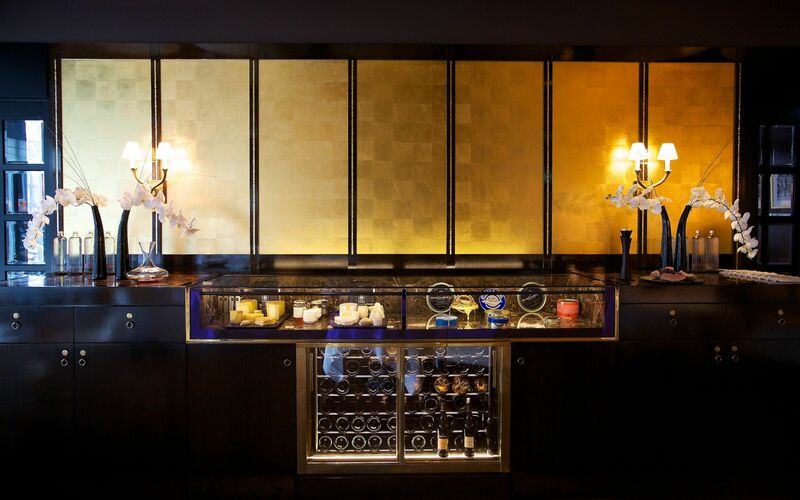 Richard van Oostenbrugge’s team certainly deserves it for the experience any diner stepping into the restaurant is sure to have.